From jade rollers to LED blemish-busting tools, we're spoilt for choice when it comes to savvy skincare gadgets. But lately, it feels like everyone is talking about derma rollers and the act of microneedling your skin. Does it hurt? Should you see a facialist or a dermatologist? Is it worth the price? What's the best at-home tool? That's why it's not exactly surprising that hashtags for #dermaroller on Instagram are into the hundreds of thousands (and counting) as more and more people are booking in for salon treatments or attempting it at home. What is derma rolling or microneedling? 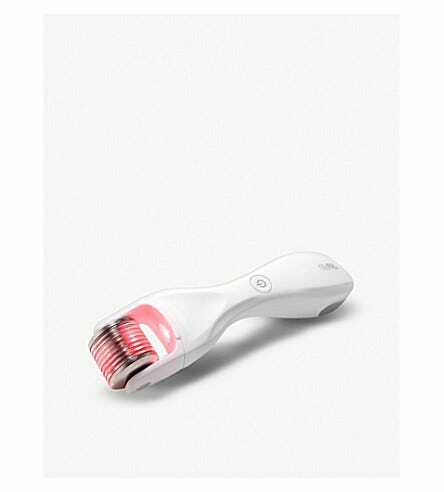 Derma rollers, or microneedling devices, use ultra-thin needles to make tiny wounds in the skin, which essentially does two things: allows for deeper ingredient absorption and sends your skin into repair mode, leading to a more rapid production of collagen. There are the pro-grade rollers you'll find in your dermatologist or aesthetician's office, and there are the at-home versions you'll find fashion and beauty bloggers raving about. 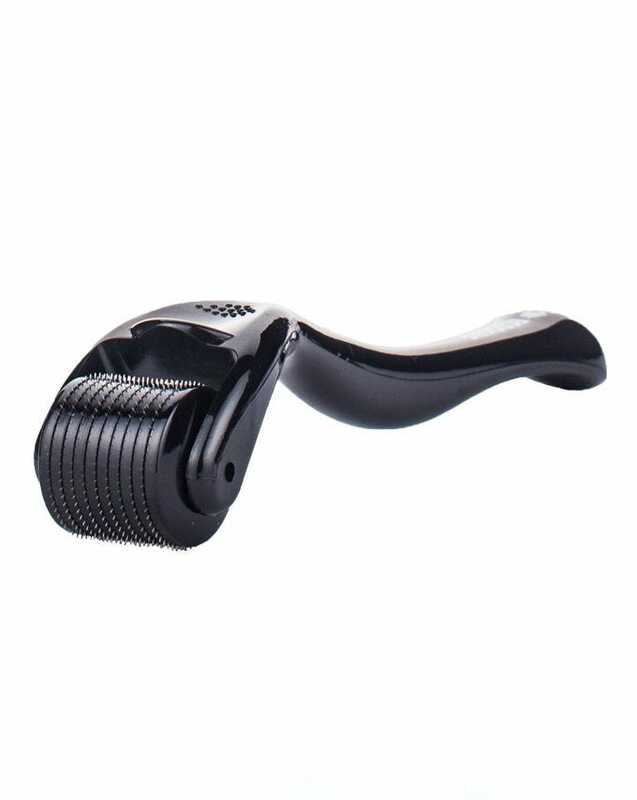 At their best, derma rollers plump skin, make wrinkles less noticeable, improve skin texture, and help with discolouration — but they're not all created equal. Your best course of action is to leave the microneedling to a board-certified dermatologist or skin specialist, but if you insist on buying that buzzy new derma roller, stock up on sterilising alcohol and proceed gently. And please, for the love of god, don't buy it used. First, you have to consider efficacy. According to dermatologist Joshua Zeichner, MD, the professional tools used in a derm's office "penetrate much deeper into the skin, commonly causing pinpoint bleeding as a result of the procedure, which makes them more effective in addressing issues like acne scars and fine lines and wrinkles than at-home devices." The over-the-counter rollers generally don't create wounds that impair the skin barrier function, he says, which kind of defeats the whole purchase. Dermatologist Stefani Kappel, MD, says that in addition to having more efficient microneedling devices, professionals often combine the treatment with radiofrequency or PRP to amplify and prolong the results — the likes of which you won't see with an at-home roller recommended for daily use. If that were the only thing at stake, it'd only hurt your wallet. The real danger with buying needles and then sticking them into your face without supervision from a person who's been through medical school is infection. Facialist Mashell Tabe, who specialises in microneedling and believes at-home derma-rolling can be effective when done correctly, warns that it's crucial to look into the company's sterilisation process before purchasing a tool. "You want to make sure the product goes through a strict sterilisation process called gamma radiation. The at-home derma rollers I provide to my clients are sent to a company called Sterigenics and they're sterilised at a certain dose with gamma radiation, sealed in a hermetic pouch, and are guaranteed to be 100% contaminant-free upon delivery." 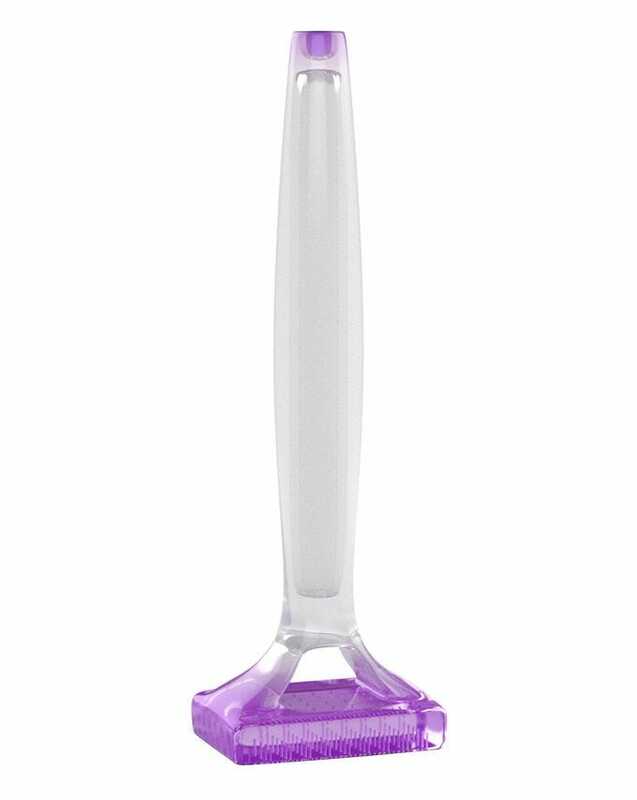 Beyond that, problems can also arise from not cleaning your skin or the roller properly before each use. "Rubbing alcohol can be used to clean at-home devices, but in order to kill bacteria, the alcohol must evaporate to be effective," says Dr. Kappel. "More importantly, make sure the skin is clean prior to using the microneedling tool to avoid infection, acne, and cysts from forming." Even if you take all precautions, though, your skin still may not react well. "Sometimes, the traumatisation that these rollers cause to the skin leads to swelling, which can temporarily make wrinkles look better, but as the swelling goes down, the wrinkles reappear. Something called post-inflammatory hyperpigmentation, or darkening of the affected skin, can also occur from this trauma," she says.